There’s a lot of software out there for speeding up whatever you’re doing. Then there’s software that does things you didn’t even realize you needed! Celtx Script is one of the latter, a very powerful suite of tools which streamlines the process of planning a video production. From writing a script to tracking production costs, this software is ideal for filming either a solo project or full shoot with staff. 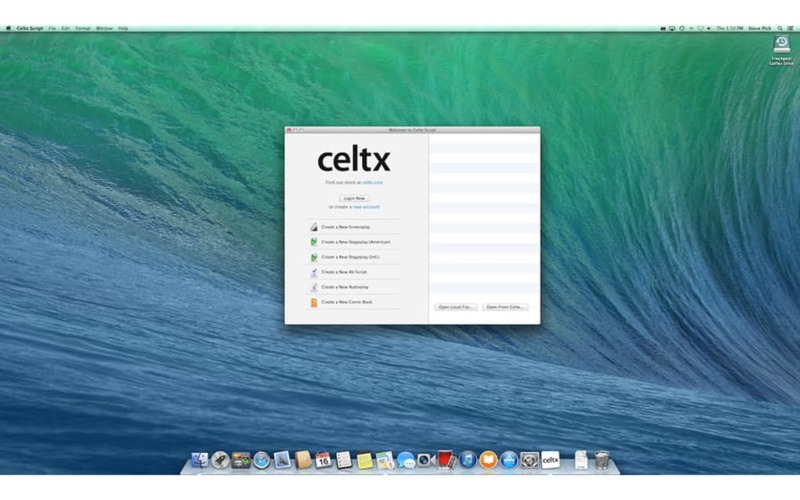 Celtx Script offers a tiered pricing option so you can try it free at first and buy more features as necessary. The program is described as a blueprint for your videos, a very apt description. Anyone making the move into shooting short films or larger projects will know that there’s a lot more to be done than just turning up with a camera and friends. 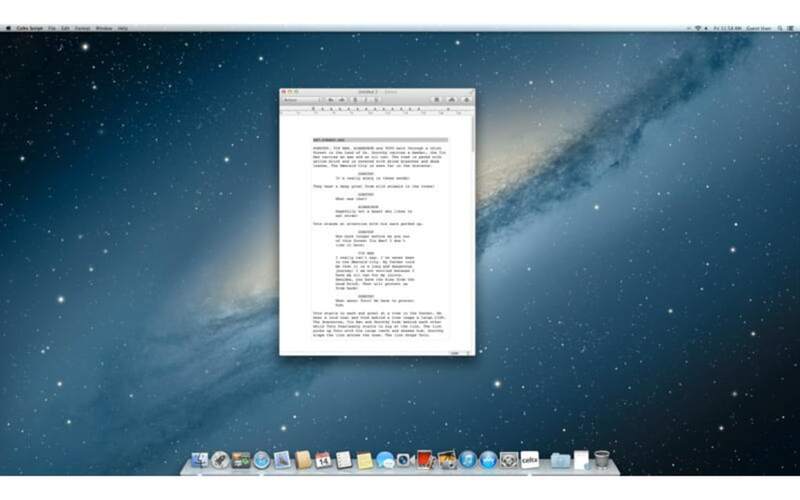 The basic features revolve around the script writing aspect of movie project, offering a lot of little tools to make life easier. You can make index cards to arrange your ideas and even auto-format documents to industry standards, so it’ll look and read like a professional script. The planning phase is supported by tools to turn your script into a shot list, a very useful visual reference which lets you plan the logistics of a shoot. You can then schedule dates and locations. When shooting you have the power to create call sheets to organize your crew, plus you can revise scripts on the fly to reduce retakes. 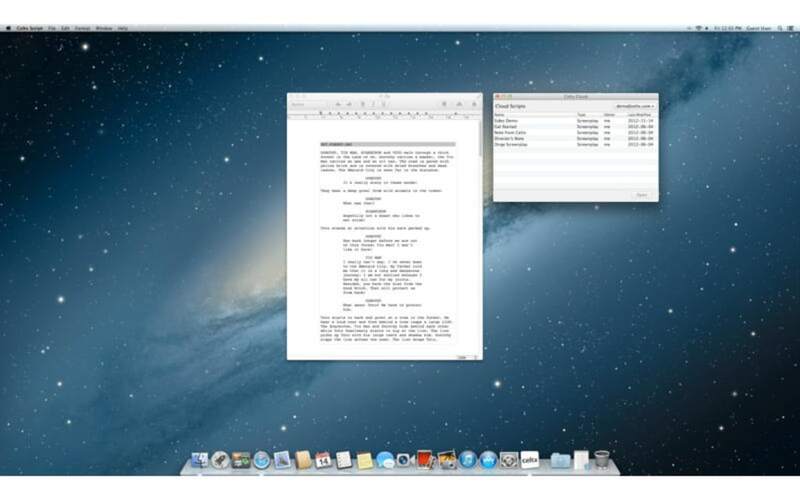 Lastly, on set the software can be used on a mobile device, synced with your project. A great deal of thought has gone into Celtx Script, not just in adding features but how those features are implemented. For example, in the script writing tools, you can easily drag and drop elements around, so they’ve clearly thought about the problems that script writers face. You can even add nodes and media to the script. When planning, you can make lists of costs and track them as the shoot happens, so if it’s a practical tool you need, this is ideal. Even the mobile version has access to a ton of tools, such as creating storyboards and lighting setups. The software is a little complex in places, but that’s a natural downside to being so detailed and professional. Once you learn the ropes you will notice that it’s laid out in a very intuitive fashion. Put simply it does not hold your hand, but can help you get a lot more done. Aesthetically, the software is very easy on the eye, which can be important during a long day of filming. When you’re struggling to organize shoots or get your ideas from scripts to screen, Celtx Script is perfect. At the basic level you are mostly limited to just script writing, but the costs are not high to adopt all the other features that let you manage a shoot in detail. The additional mobile tools make this very versatile on set and well worth the cost. What do you think about Celtx Script? Do you recommend it? Why?